Marker's Baron 13 EPF bindings feature all the benefits of the EPF construction, but are now available for lighter skiers. 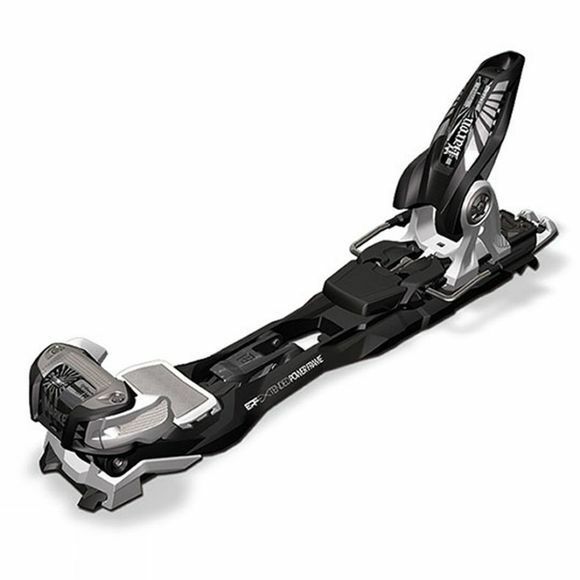 Designed with a low level stand height for maximum power transmission, it's the shortest frame of all hiking models in the market that features a 10mm wider interface, than traditional â€œracingâ€� bindings. The Inter Pivot Heel directs the power forces in the angle of elasticity, improving the holding power and reducing pre-releases whilst impressive riding stability despite being very light, is thanks to its Hollow Tech fibre-reinforced frame base plate.